I Love Unicorns Kit | Unicorn Magic Just For You! 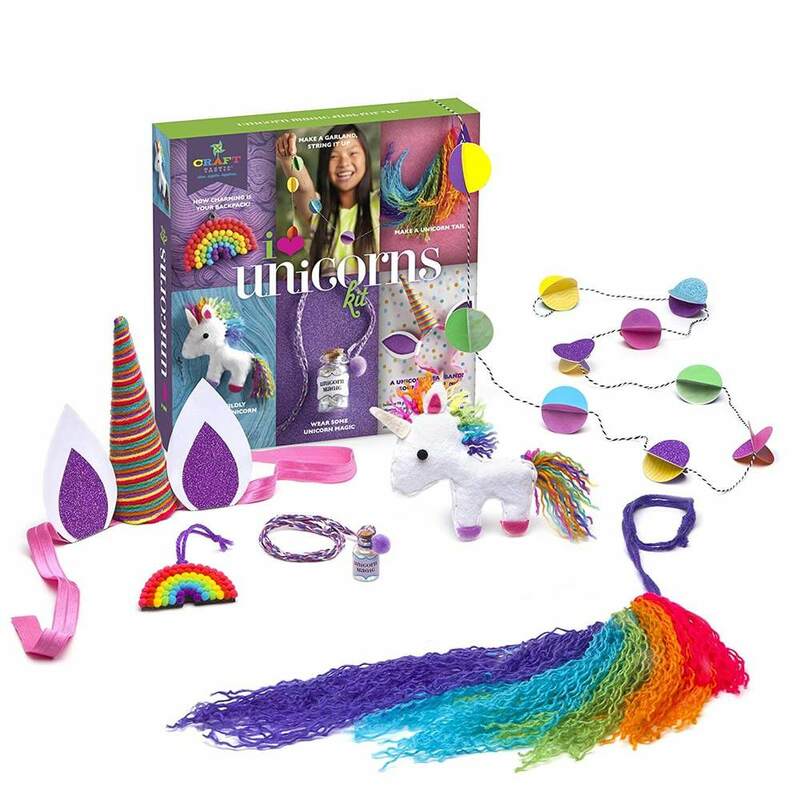 Unicorn Magic Just For You! Are you mad about unicorns? 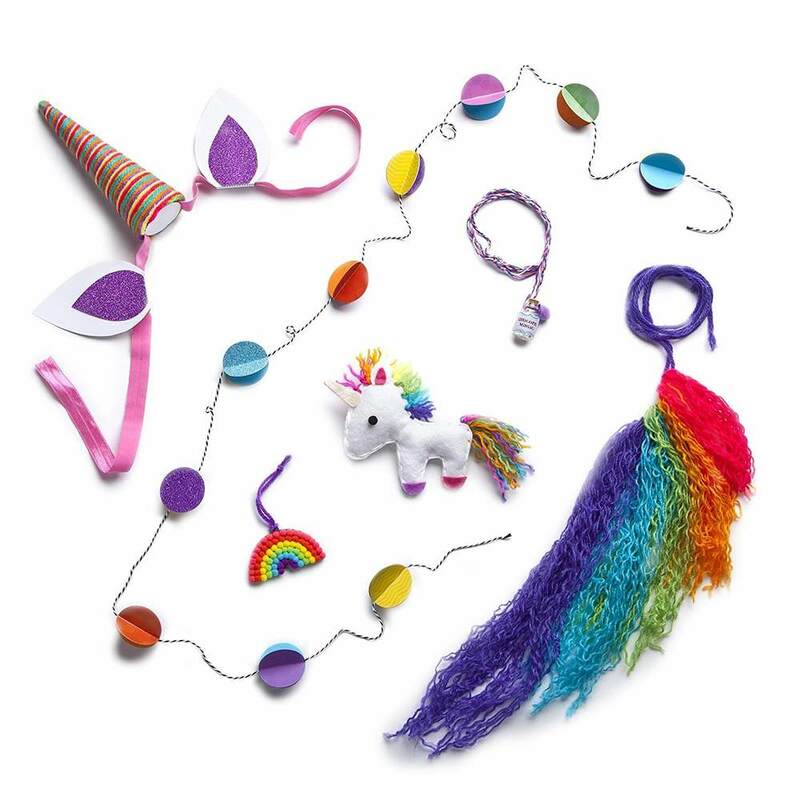 It's a rainbow of crafting fun! Hold your horses! 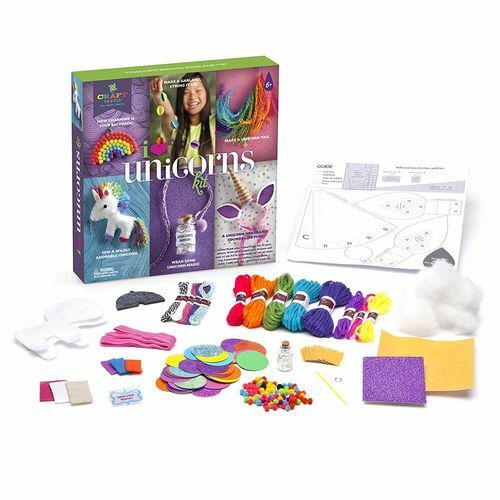 It's time to make some magical crafts with this I Love Unicorns Kit by Craft-tastic! 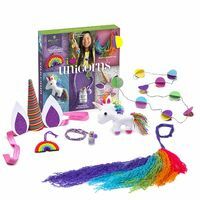 There are 6 awesome projects for you to tackle, from stuff you can wear, to things you can cuddle! 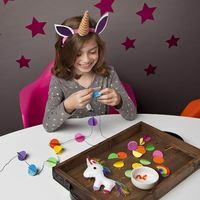 Sew a wildly adorable unicorn stuffy, create a rainbow backpack charm and thread a magical unicorn necklace. And, if you're planning a unicorn-themed birthday party, make a garland, wearable unicorn tail and headband! 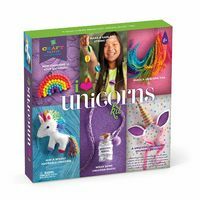 Use your creativity to choose your yarn colours and other intricate details while mastering your crafts! 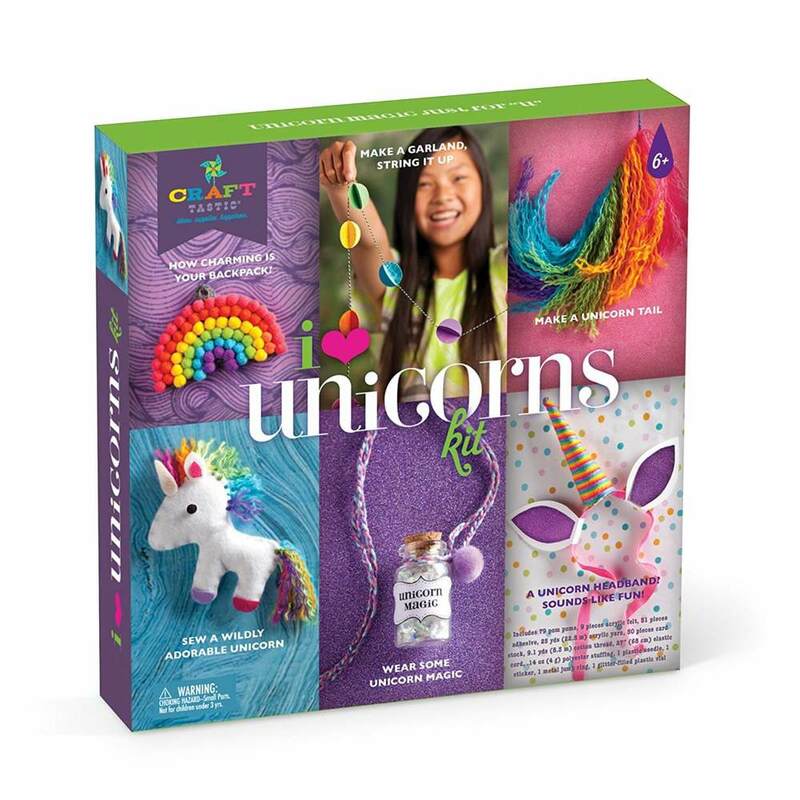 1 sticker, 1 glitter-filled plastic vial and detailed instructions. Scissors, ruler and an iron (for adult use only).